Enjoy the treasures of the Bozburun peninsula with a touch of Greece. 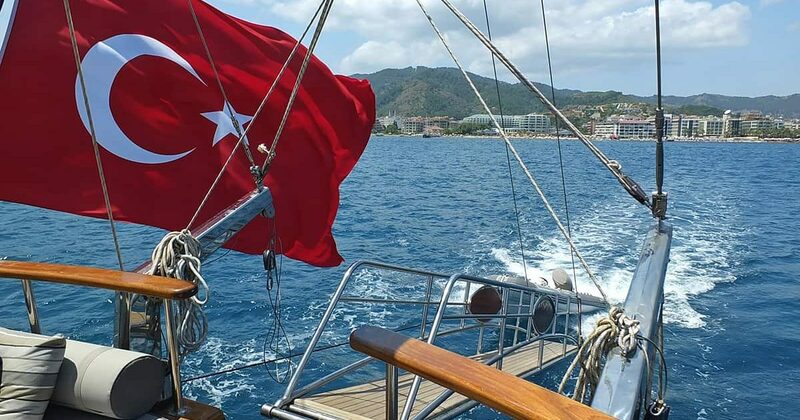 This route is a perfect choice for those who want to enjoy in all the benefits of the relaxing gulet cruise and explore the nature of Turkish coastline with a touch of magical Greece. Here you’ll have many opportunities for diverse watersports activities, spending days under the sun on the beach and ultimately relaxing and having truly the best holidays of your life. Your cruise starts Marmaris with check-in from 4:00 p.m. Our Turkey Luxury Representative will welcome you on board, introduce you to the crew and make sure you don’t miss a thing. Captain and lovely crew will show you around your deluxe yacht and make you feel like it’s your new second home. The yacht will remain anchored in Marmaris Port for dinner and stay at the port an overnight. Marmaris is a port city and a tourist resort on the Mediterranean coast, one of the most elegant exquisite yachting resorts of Turkey. Gorgeous blue sea, mountains, and pinewoods frame the landscape make this place perfect for the first overnight stay. There are also many choices of luxury shops, cafes, beautiful restaurants are to be found along the narrow streets of the town. Arap Islet (Turkish: Arap Adası) is a completely uninhabited hidden gem located on the borderline of the Aegean Sea and the Mediterranean Sea. Here you will enjoy in beautiful turquoise blue sea natural shelter from prevailing winds. This is absolutely the ideal place to completely unwind and forget about the stress of everyday life in peace and quiet of this uninhabited island. 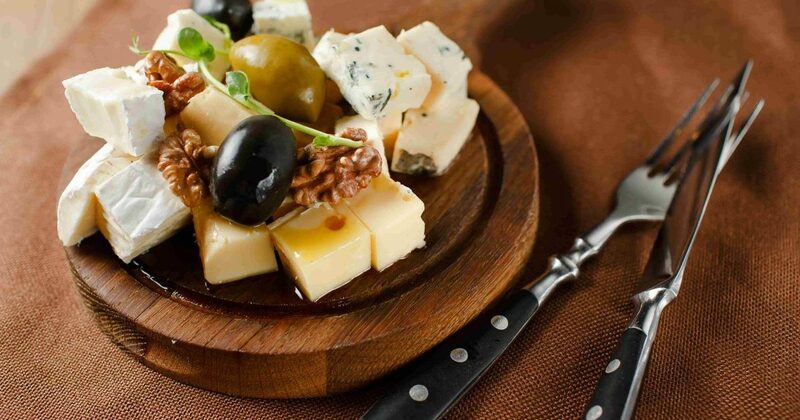 After a delicious lunch prepared with high-quality ingredients, you will head to Bozukkale. You may visit the remains of the fortress and castle there (the ancient city of Loryma) that are beautifully preserved. If that doesn’t interest you, you may just do some more relaxing swimming, surfing, canoeing and enjoying all the beautiful coves and natural beauties. Bozburun is one of those places where you will feel absolutely rejuvenated since it holds an untouched natural atmosphere and many green areas. 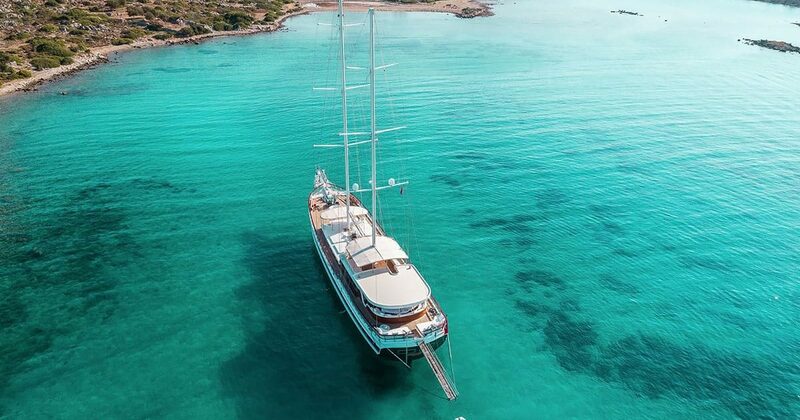 Your gulet will anchor in an elegant small harbor surrounded with several local restaurants and cafes where you can try some traditional food or drinks. Spend your days on the beach or exploring small town and watch the breathtaking sunset by the seaside. On some beaches, you might even stumble across turtles depending on the season. Turtles still haul themselves up the beach at night to lay eggs which is a rare sight in itself. If you want to stay active hike on the 500-mile-long Carian Trail, Turkey’s latest long-distance path with many places where you can take a short stroll. Some of the best wooden gulets have been produced here, which is why leading names in the business seek boat makers right here. Bozburun today truly has become a central attraction, that you can’t afford to miss. On this day you will head with your yacht to DirsekBuku that offers perfect shelter for a great swim and nice local restaurant. The restaurant provides good food and service in alluring ambiance if you want to skip some meals on board and head there. What is interesting about this area is the fact that is only reachable by sea since there is no road access. This is why this place is perfect for getaways and place to anchor and stay overnight. The peace, the quiet, the breathtaking scenery and beautiful refreshing sea will captivate you. You will feel like you almost have whole islands just for yourself. A pristine unspoiled nature and captivating scenery will recharge your batteries and make you feel extra relaxed. Last but not least is that water here is very clear and unspoiled so it is close to ideal for everyone who wants to do some snorkeling too. Dinner will be served on board by your personal chef according to the deluxe menu you agreed in advance. After a delightful breakfast surrounded by most amazing scenery, we cruise to Bencik, which is located at the narrowest part of the peninsula that divides Hisaronu Gulf from the Gokova Gulf. Bencik might have a very narrow entrance but it also has a unique nature and view perfect for those Instagram shoots or nice photos to take back home. You should take a short walk up to the top of the hill in Bencik, why? Well from there you can see at the same time the fantastic views of Gokova and Hisaronu Bays which are like a feast for the eyes. Dinner and overnight stay will also be here so you can relax on board, enjoy in the jacuzzi with wine and prepare for tomorrows new adventure. Your cruise continues to Datca. On your way, you will pass by a fantastic landscape with small islands and huge mountains that are simply breathtaking. Datça is a small harbor town and is the nearest place to the ancient city of Knidos. 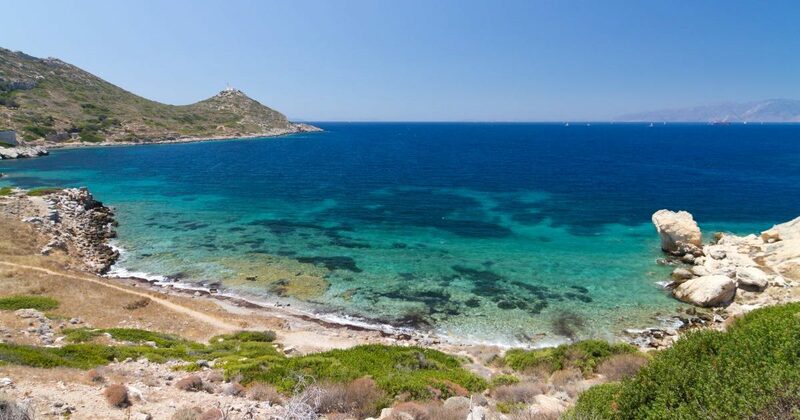 If you want you may join an optional excursion to Knidos and spend some time there. In the evening you will still have free time to visit Datça with its lovely streets filled with lively shops and welcoming people. Datça’s bays are also perfect for snorkeling and windsurfing with all necessary facilities available. 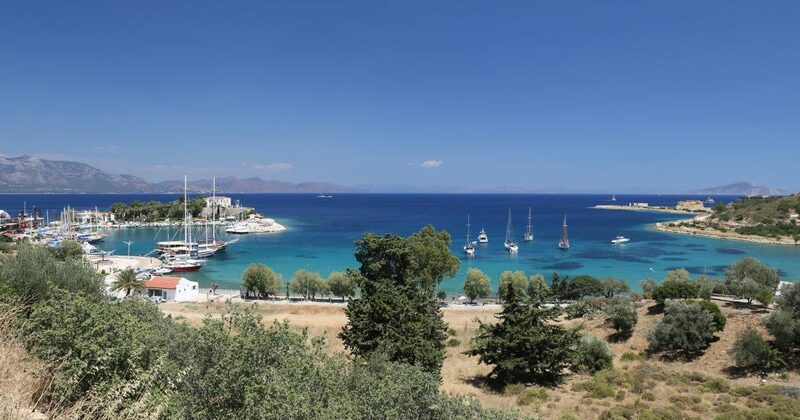 What you might notice as well is that the town of Datca still carries its identity as a peaceful historic town and any developments are carefully monitored so much of the peninsula retains its natural charm. 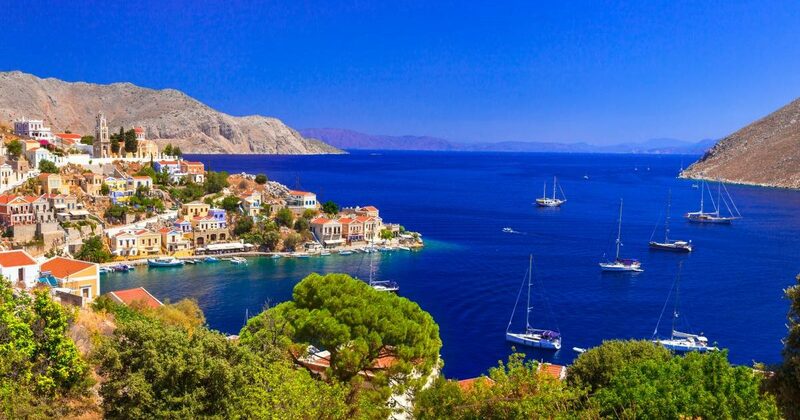 Symi has by far the most beautiful fantastic harbor in Greece. After breakfast, you will enjoy in gorgeous landscapes and architecture of houses all made in Neo-Classical style. You will notice that here there are almost no modern concrete constructions used, just old traditional houses that breathe history. The whole island remains intact and that is exactly what brings the most value to it. Lovely and quite Pedi beach is, however, the most attractive place on Symi island if you want to go swimming and enjoying in some watersports. As the sun is setting down a bit, stroll around the port’s entire bay area to watch small boats and luxury yachts. You will also easily find many local shops open throughout the day, traditional cafes and fish tavernas… The clock tower, an island monument, will maybe remind you of one from London since it is based on the design of London’s Big Ben. Later on, as the day goes by you can relax on the deck and enjoy in some delicious Greek food before the sleep. 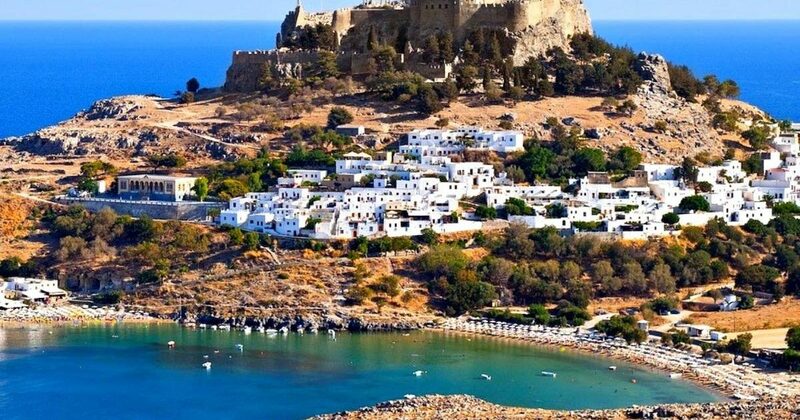 Your captain will lead you to Rhodes island that offers its visitors a history that goes back in time thousands of years, to the ages of mythology. Among many other things, this makes this city one of the most popular holiday destinations for everyone looking to explore the culture and history. The town can be divided Into Old Town and New town. In Old Town, you can explore narrow streets, charming squares, numerous restaurants, and cafes. It’s a perfect mix of modern and traditional. In New town, you can walk at the Marina and sit next to the sea away from large crowds. Colossus of Rhodes (one of the Seven Wonders of Ancient World) is also a must visit! The island offers also a great variety of restaurants for superb dining, so don’t shy away from trying some local delicacies! You will have to leave the gulet with precious memories by 10:00 after breakfast. 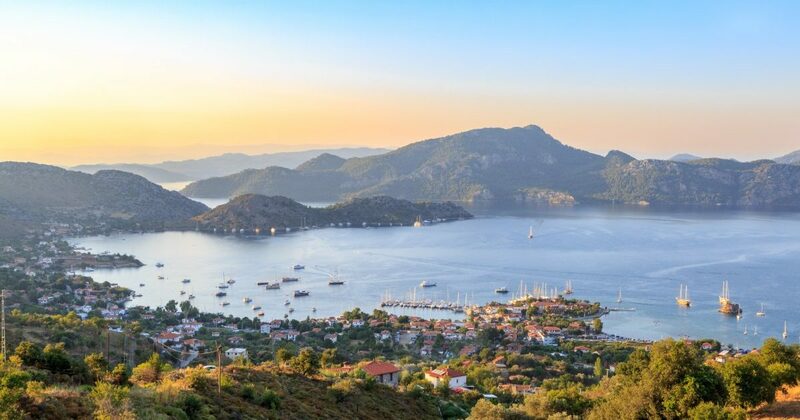 If you want you can later before heading home further explore the Marmaris. Before you check-out, our representative will come for one last visit on board to check how everything went and if you need any further assistance (transfers, suggestions on how to spend the day till your flight and similar).